La Conciergerie was originally built as a medieval palace and later became infamous during the Reign of Terror as "the antechamber to the guillotine" — a prison where hundreds of people were held before being executed. 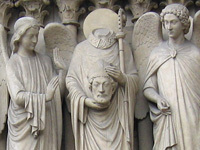 Marie Antoinette was famously imprisoned in la Conciergerie during the weeks before she was beheaded at the Place de la Concorde. 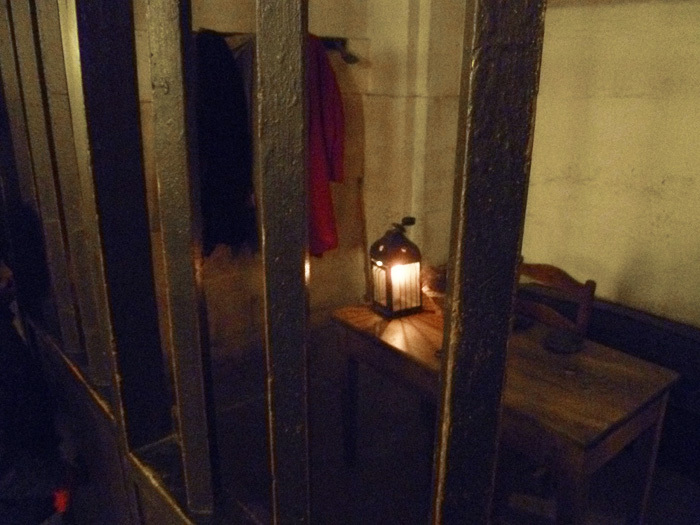 These days you can tour la Conciergerie to get a glimpse into the lives of the prisoners who were held there, and also to enjoy the beautiful gothic architecture of the place, and visit its various non-prison-related temporary exhibits. The building itself is gorgeous. 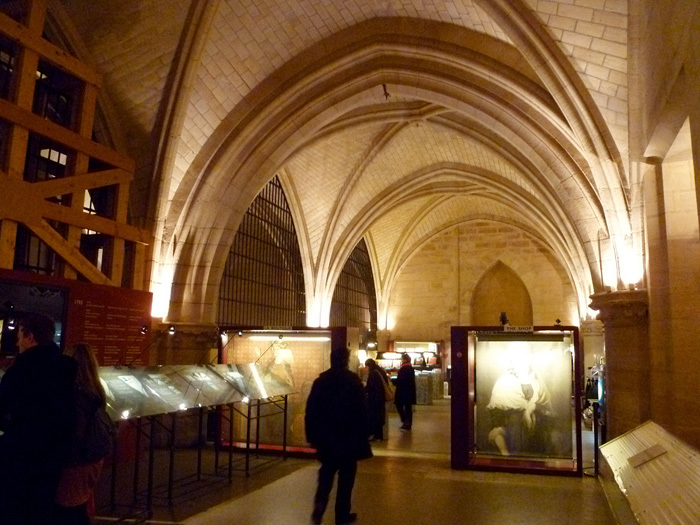 When I visited la Conciergerie, there was a fascinating exhibit (not shown here) about the history of cinema in France, including some neat costumes from a few different Joan of Arc movies. 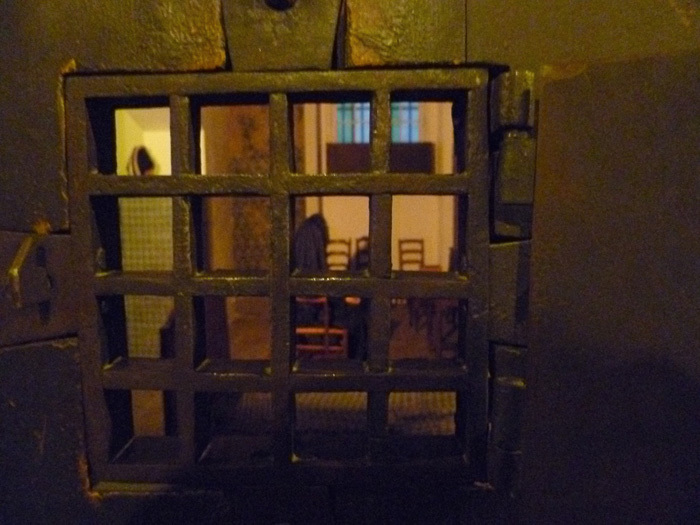 A glimpse into a cell that was once used to hold prisoners on their way to the guillotine. 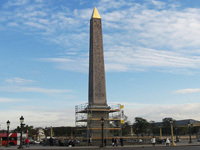 A real guillotine blade! 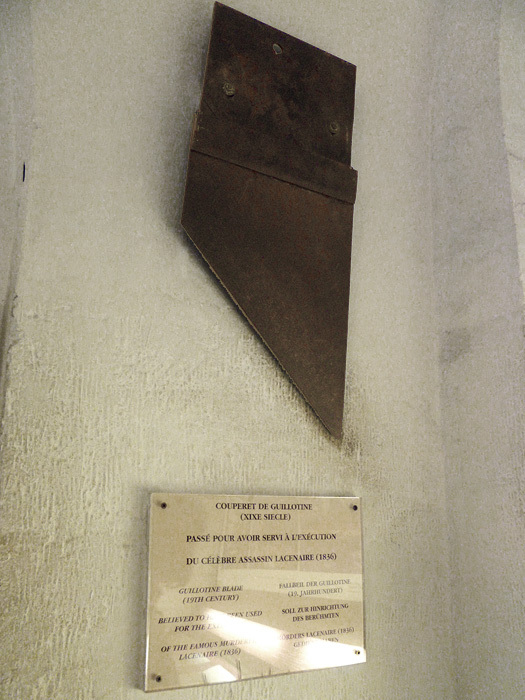 The sign says, "Guillotine blade (19th century), believed to have been used for the execution of the famous murderer Lacenaire (1836)." 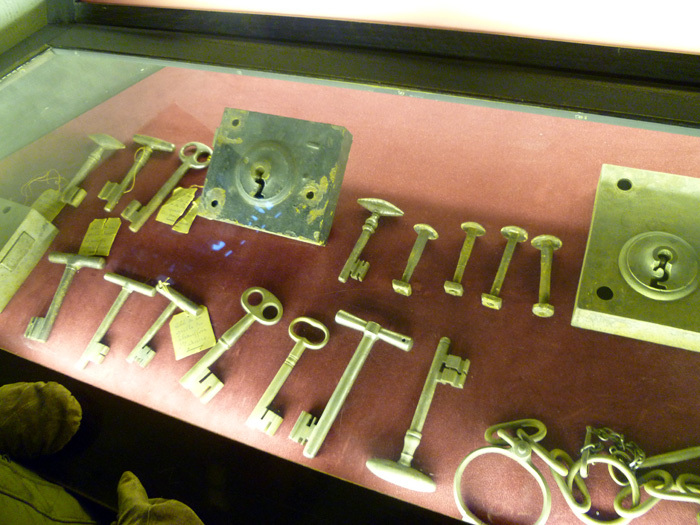 Neat old keys, locks, shackles, etc. 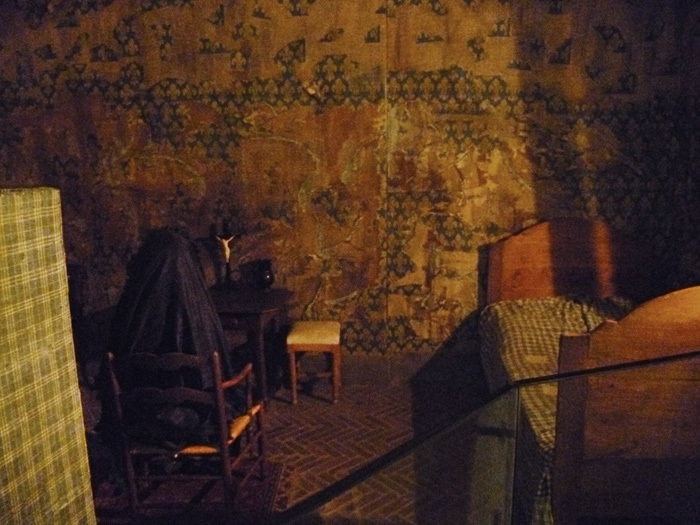 There's a cell set up to show what Marie Antoinette's final chambers would have looked like, with period furniture and a veiled mannequin standing in for the queen herself. The view through her cell door is very creepy! 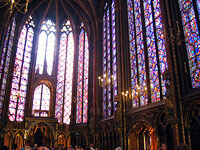 You can go around and enter the cell to see Marie Antoinette sitting alone and reflecting on a cross. Sorry for the terrible photos; it's very dark and gloomy in there! 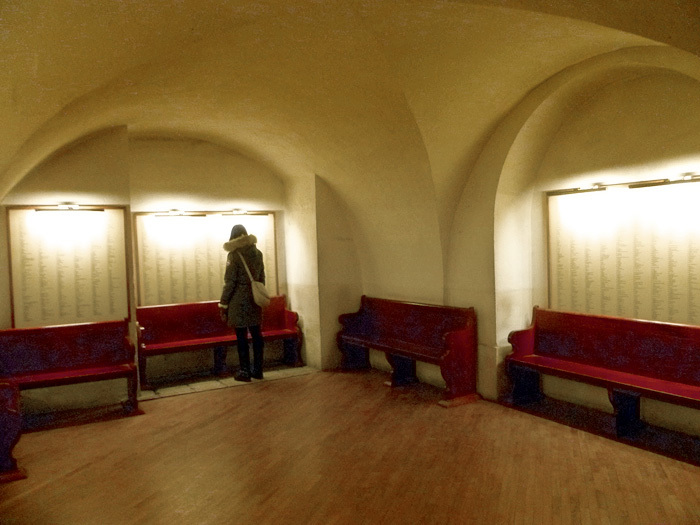 Another room has lists of people who were prisoners who at la Conciergerie, many of which were executed at the guillotine during the Reign of Terror. 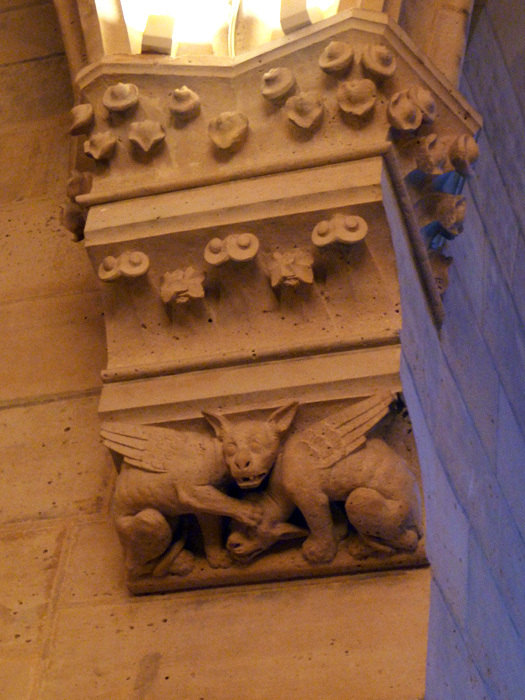 Cute lil' monsters carved into a wall of la Conciergerie. 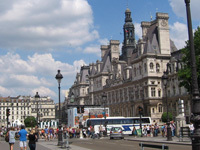 La Conciergerie is located on l'Île de la Cité, not far from Notre-Dame Cathedral. 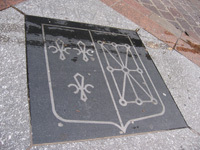 The entrance is on the Boulevard du Palais, near the northern side of the island; you'll see a small sign out front and probably some people lined up outside. 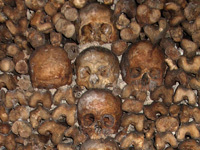 If you're taking the Métro, Cité is the closest stop. Incidentally, the entrance to La Conciergerie is just down the street from the entrance to Sainte-Chappelle; you can easily fit them both in one morning/aftertoon.